An absolute stunner bred by David Matthewman in Yorkshire. Highly scented, almost shimmering florets set on long stems. 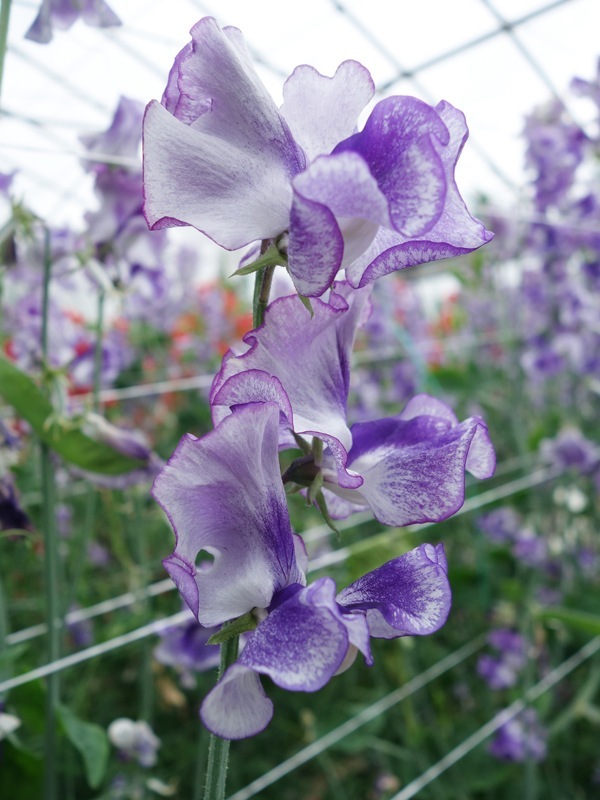 Gardeners will be delighted with this unusually coloured, dazzling new sweetpea. I bought 7 differnt variatys from mathewmans and im very pleased with the results so far. All sown in october. Night sky is my fav. Every seed germinated, strong healthy plants.Lovely long stems beautiful blooms with 5 to a stem, stunning scent My first year growing exhibition so I'm by no means an expert but these in my opinion are show winners!! 5* I'm defiantly buying seed here for next year!